This Is It: a residency, a film, and now a single. 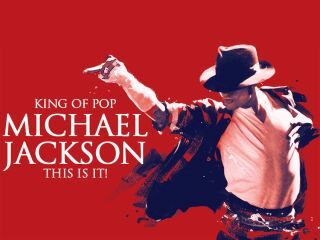 Sony Music has announced that a new Michael Jackson single, This Is It, will be released on 12 October. This will also feature on a forthcoming double-CD album: the first disc will be devoted to the star's greatest hits, while the second will contain previously unheard versions of some of his most popular songs. This Is It, of course, was the name given to the London O2 residency that Jackson never got the chance to embark on (it's also being used as the title of the documentary film that will be released on 28 October). This suggests that the single may have been recorded in the final months of his life, though this hasn't been confirmed or denied. What we do know, however, is that it will feature backing vocals from all of Jackson's brothers - we're guessing these may have been recorded after The King Of Pop's death. Sony has also revealed that This Is It (the song) will be used to soundtrack the closing credits of This Is It (the film).